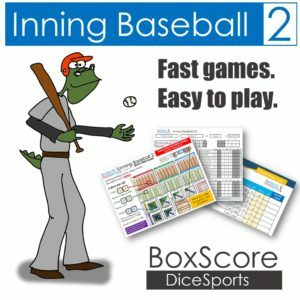 View cart “Inning Baseball 2” has been added to your cart. 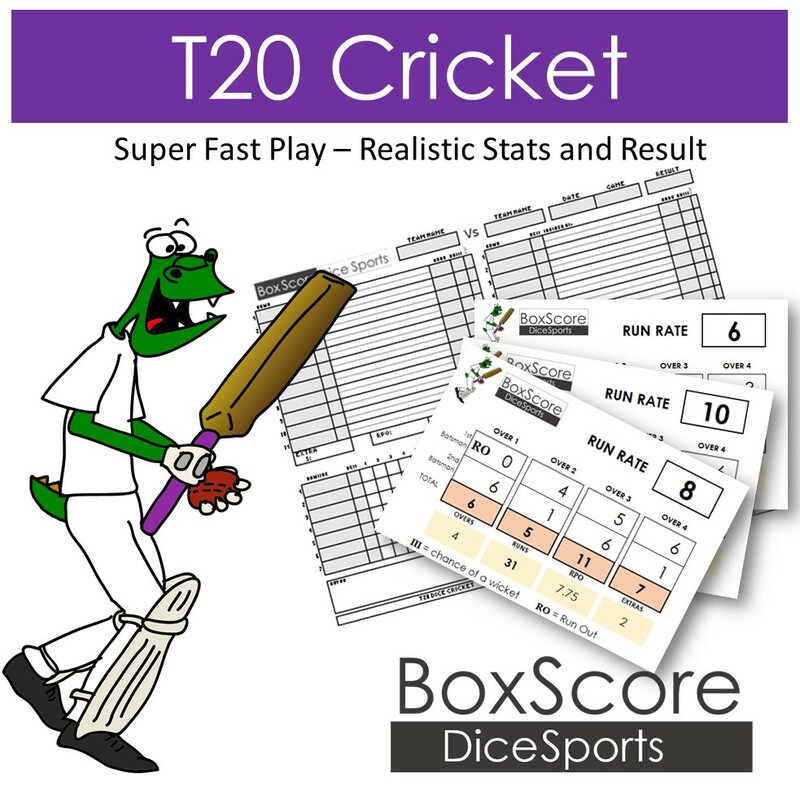 Box Score T20 Cricket is designed for fast game play. 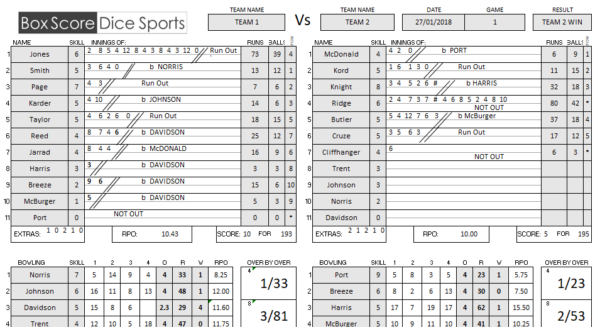 Yet provides realistic stats and results! 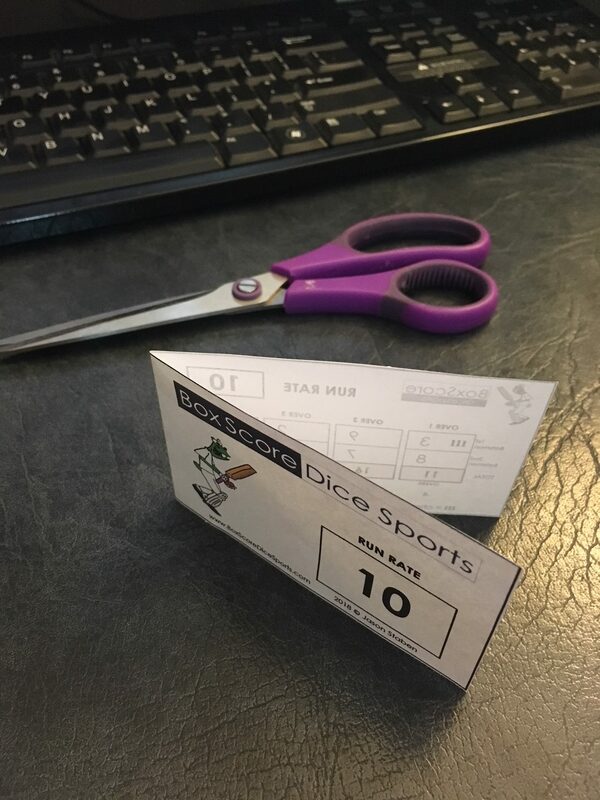 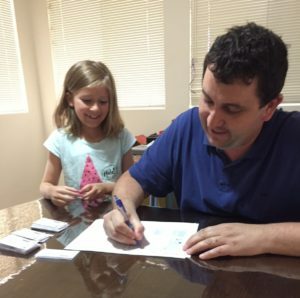 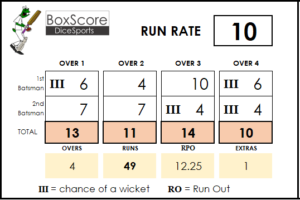 PDF Run Rate Cards for 6, 8 or 10 Runs Per Over. 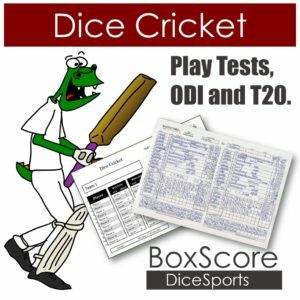 Quick Start Guide – to help you get going fast. 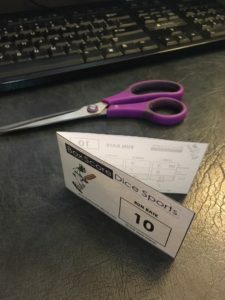 Random Run Rate Card generation (create and print off unlimited unique Run Rate Cards. 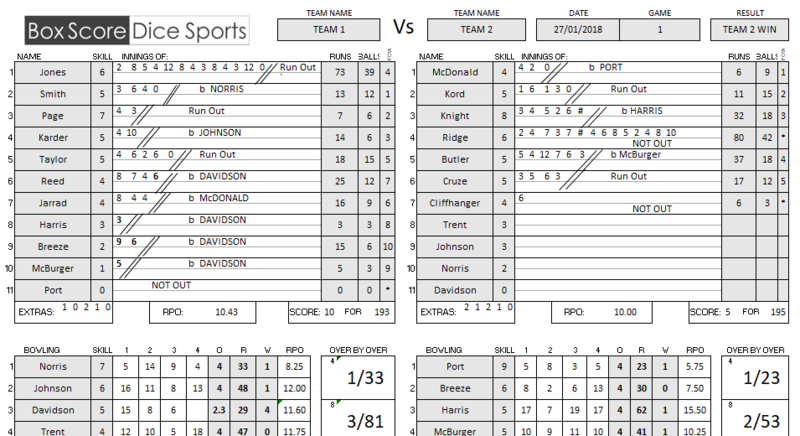 T20 Game Score Card to print or modify and play directly in Excel. 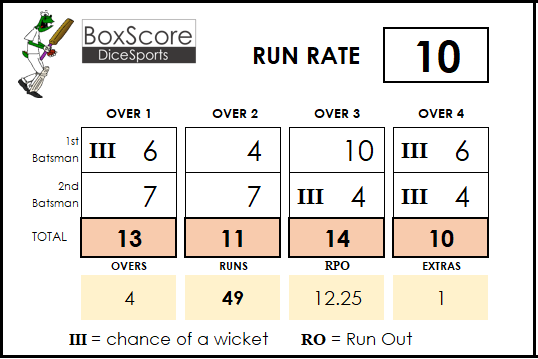 Print off each of the Run Rate Cards (or use the Run Rate Card Generator in Excel (created in the latest Version). 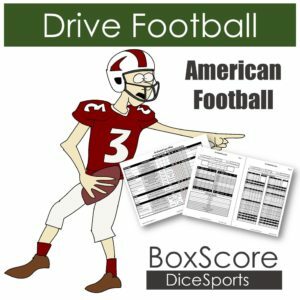 Fill in your team giving each player a skill rating out of 10. I own 3 different T20 board games and out of those T20 Cricket is by far the most enjoyable one. 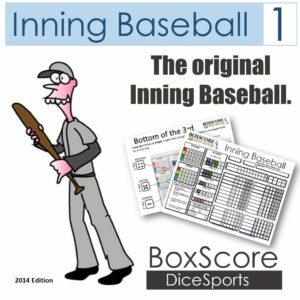 The rating instructions allow you to create any team from the past and present without too much calculations and the FAC cards ensure a fast and exciting resolution of each inning/game.